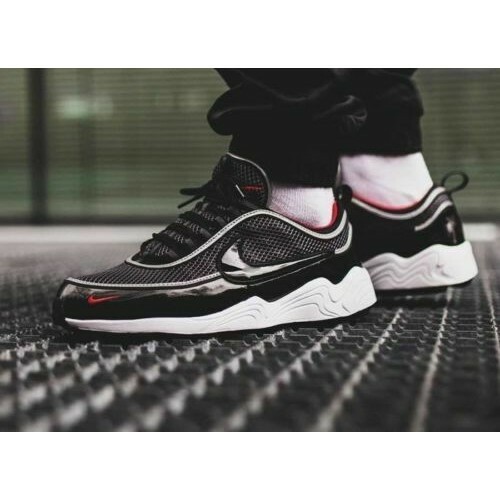 he Nike Air Zoom Spiridon ’16 is characterized by its lightness in addition to its dual density responsive cushioning system. A black colorway features red details. 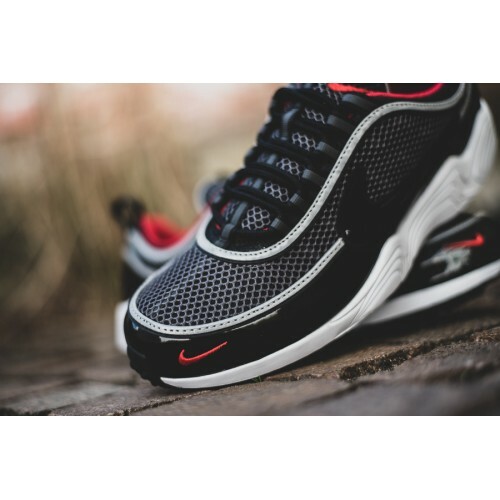 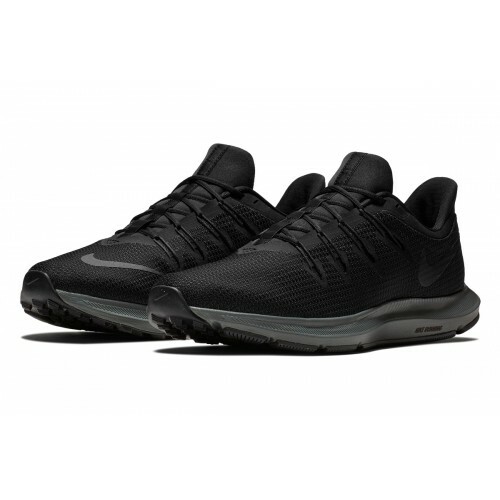 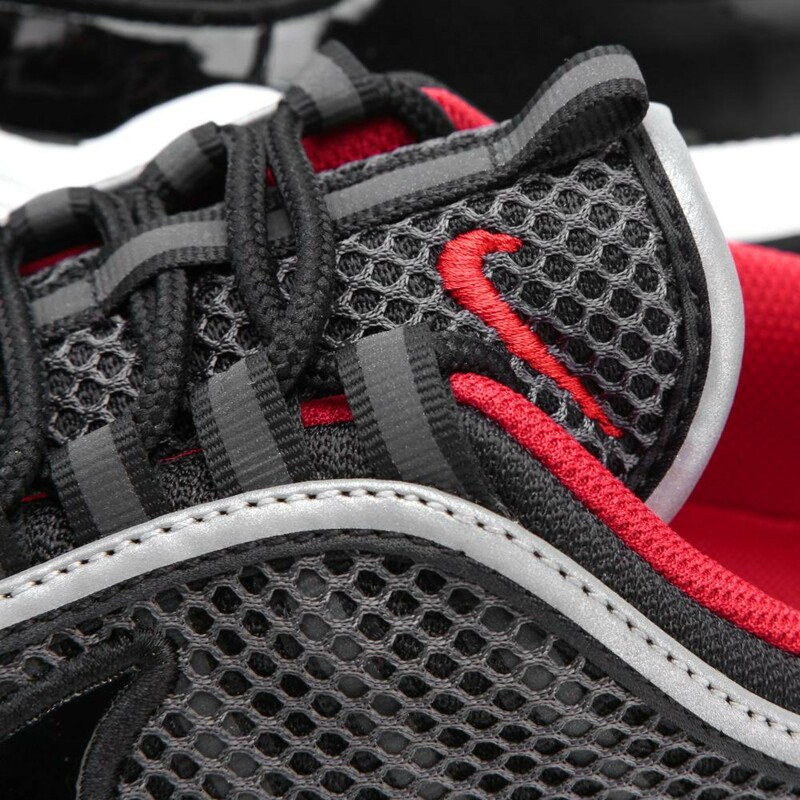 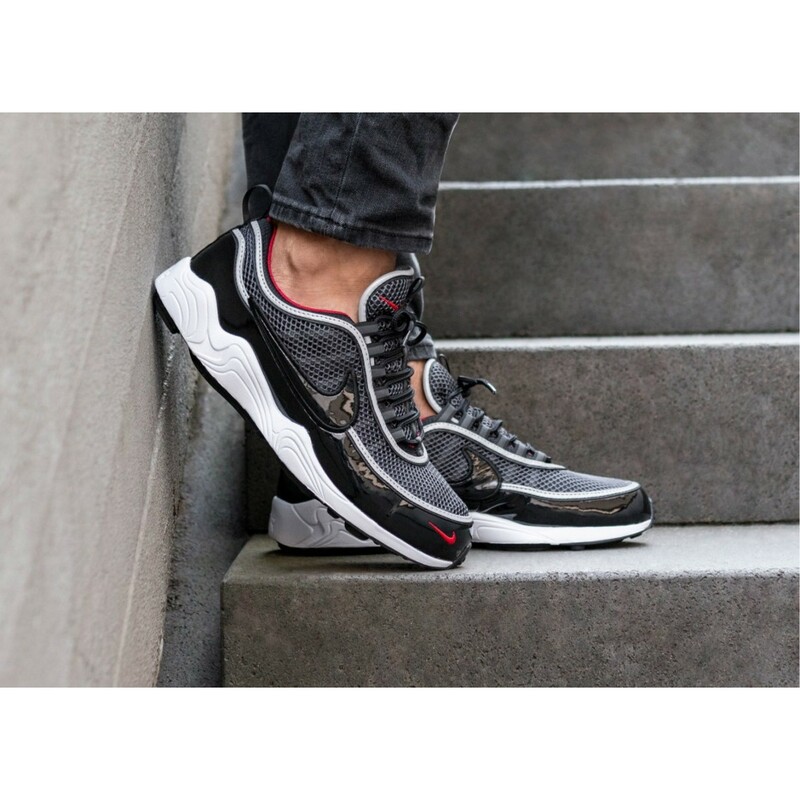 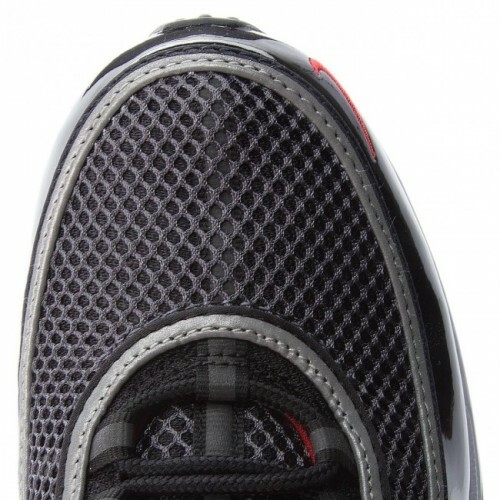 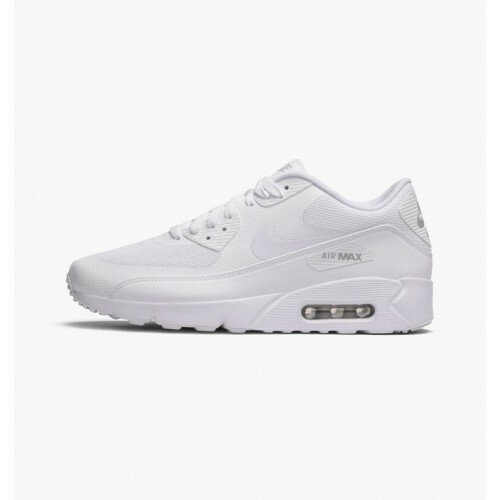 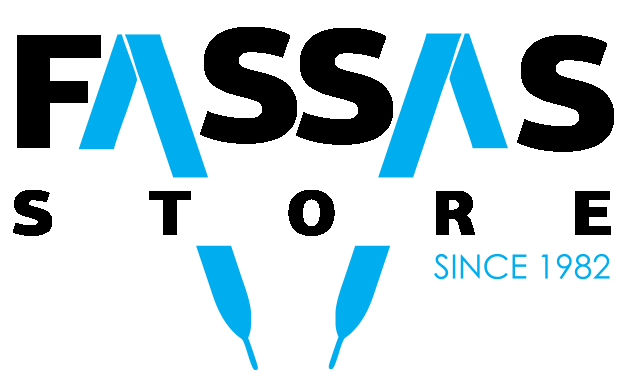 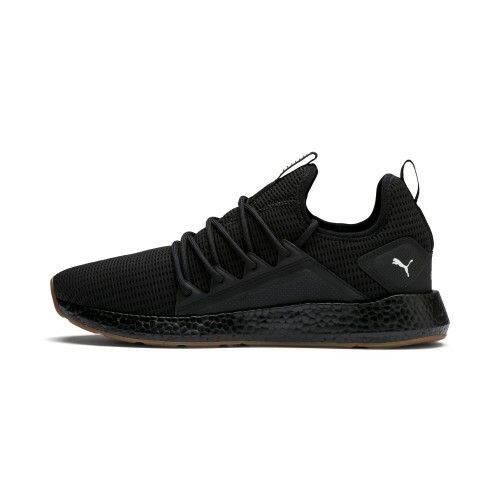 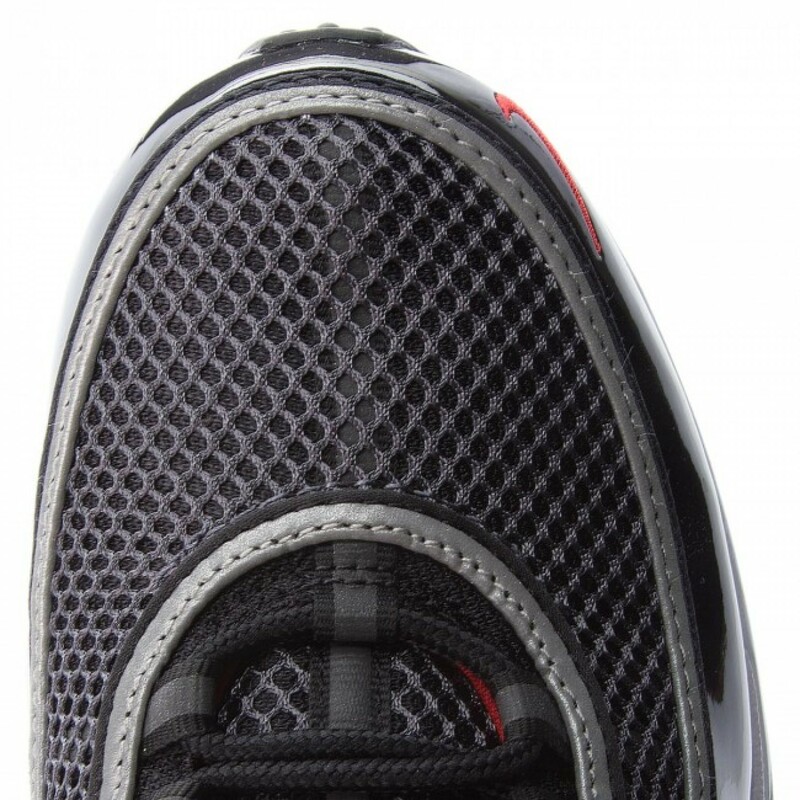 The textile and synthetic upper sits on top the revolutionary Zoom Air cushioning. 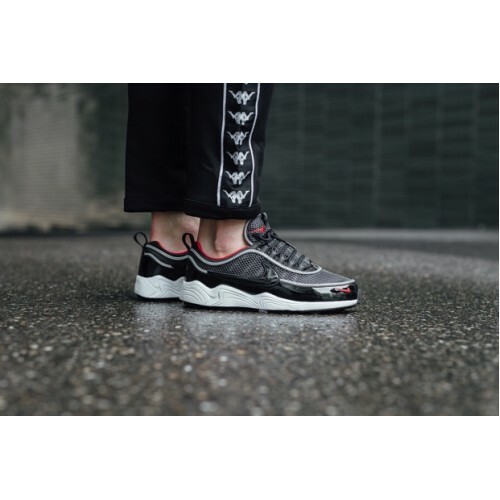 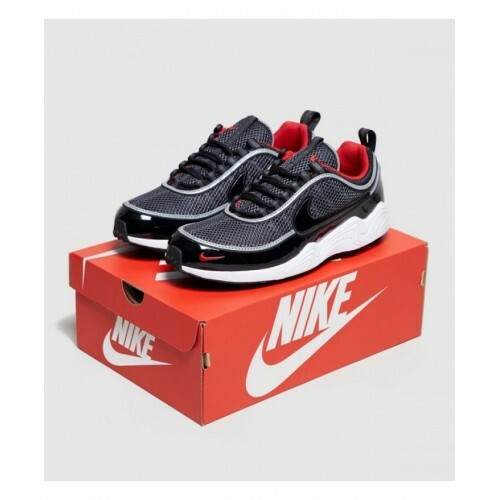 The Nike Air Zoom Spiridon ’16 has been designed with a Dynamic Fit lacing system that provides increased support, while the rubber traction offers a sturdy grip.